The Smrt Youth and Kids curriculum developed by Little Mountain Learning Academy is a dynamic, innovative and progressive program geared towards school aged students learning English as a Foreign Language (EFL). It is a literary-based curriculum that emphasizes language acquisition built around strong reading skills. It allows students to be fully engaged in fun and interesting readings that help them build foundational literacy competencies. With these foundations, students are able to construct strong reading, writing, speaking, listening, vocabulary, and grammar skills. The curriculum is mapped to meet the learning objectives set by the British Columbia Ministry of Education in Canada. It uses integrated, collaborative methods to help students reach English fluency. The digital format of this curriculum puts global connections and information at the disposal of each individual student. Its diverse range of content and activities allows students to have differentiated styles of learning. This curriculum gives English teachers around the world a powerful tool with which they can engage their students. It provides high quality reading materials, comprehensive lessons and well-designed activities to give students a broad range of experiences in their English classroom. Each unit contains multiple lessons in these categories, to amount to a total of 16 suggested lessons per unit. Attached to each unit are recommended lesson plans, breakdowns of each category and suggested learning extensions for teachers. The program can also vary in length and intensity depending on teacher preferences and class schedules. It is built to be very flexible to meet the differing needs and comfort levels of teachers and students. The Smrt Youth and Kids curriculum is divided into three categories; Kids, Preteen and Teen. The learning needs of children are very different to those of adults and it is imperative that curriculum content is directly applicable to students of different ages. What is interesting to a 6-year-old most likely will not be appropriate for a 12-year-old. Differing levels of courses exist in all three categories, meaning that 7-year-old students at an Intermediate level can be learning different things to 13-year-old students at the same academic level. In order to create a dynamic and comprehensively successful curriculum, Smrt Youth and Kids curriculum draws on several educational theories. There are many differing opinions and pedagogical philosophies in English language instruction. This curriculum draws on the academic theory and many years of first-hand experience shared by our certified Canadian teachers. Smrt Youth and Kids curriculum’s pedagogical methods are based on six main principles. One of the key concepts used in the development of this curriculum is that an engaging, fun curriculum is vital in order to help students develop language fluency. It is becoming widely recognised across the field that learning language skills out of context is not effective. In fact, the universality of language allows students to learn English skills whilst exploring topics in the context of other areas of study. This has been shown to be much more effective in developing language fluency (BC Ministry of Education 14). The Smrt Youth and Kids curriculum aims to allow students to learn English in an enjoyable and engaging environment. Enjoyment of reading and learning is crucial in language acquisition. “An interesting storyline is more important than simple words. It may seem counterintuitive to give a student a book like There’s a Nightmare in My Closet (who needs sight words like nightmare or suppose at this stage?). That is not the point. Enjoyment of reading is essential. Giving students books they can have fun with, that they want to read over and over, is a big part of the game” (Laws and Eckes 104). By using multi-media and multi-genre texts in the classroom, teachers are able to engage students in their own learning. When students are interested in their learning topics, they will become fluent much faster (Worthy 566). For curriculum to be effective, engaging and applicable for young learners, it is necessary to adapt the traditional skills-based learning familiar to many EFL teachers. Instead of teaching grammar, vocabulary and listening out of context, the Smrt Youth and Kids curriculum uses reading as the foundation for all learning. Much research shows that reading is the cornerstone of language acquisition. The face of literacy and reading is also changing. When we refer to texts in the classroom today, we are talking not only of books, but magazines, films, websites, songs, and so on. Today’s literacy involves the understanding and processing of “oral, written, electronic and multi-media forms of communication” (BC Ministry of Education 3). “There is wide agreement among literacy researchers that students who read more become more proficient in reading fluency and comprehension as well as general vocabulary and cognitive development.” (Worthy 568) The Smrt Youth and Kids curriculum builds grammar, vocabulary, speaking, listening and writing skills from firm reading foundations. Without these strong foundations, any grammar or vocabulary lessons learned are in isolation and therefore constitute mostly short-term language acquisition (Rutherford 22). In order to help students gain long-term fluency, it is important to keep the focus on literacy and develop all other skills from this base. Because there is so much focus on literacy in this curriculum, Smrt Youth and Kids curriculum uses a wide range of research to support the developing reading needs of its students. The curriculum is designed to meet the needs of students at different levels of literacy. Research in the area of literacy development is constantly evolving to reveal new understanding of how children learn to read. Where twenty years ago educators divided student abilities into five rigid categories, or ‘stages,’ we now understand literacy as a much more fluid progress. It can be viewed more as a “continuum of learning” (Laws and Eckes 86). With that in mind, it is important to note that though the Smrt Youth and Kids curriculum contains distinct stages, the courses are designed to allow for fluid progress within. The lessons are always flexible for those students who may be more or less advanced than their peers. English 110 is the introductory course for those students with little experience in English and possibly little to no English literacy skills. It focuses on giving students a strong foundation for reading. Using a program combining sight word recognition and phonics, English 110 allows students to begin their journey towards becoming an independent reader. It also aims to help students develop oral language skills, especially in speaking. Research shows that at this level of development, oral skills are key in allowing students to experiment and play with language to become more confident. “Production and performance in reading, writing and speaking often precede comprehension (Laws and Eckes 86). English 110 gives students forums in which they may experiment with early reading, writing, speaking and listening activities without being limited by their low competencies. In English 115, students are given tools to begin learning as an emerging reader. This includes literacy practice that builds on the phonics and sight reading skills developed in English 110. At this level, students are transitioning between being dependent readers and becoming independent readers. For EFL students, this step can be the hardest and often most time-consuming to overcome. There are many merits to using a phonics-based curriculum to give students the tools to achieve independence. However, this system is lacking in one critical feature; it devalues meaning and interpretation. Basic phonics is necessary to empower students to read on their own, but after that it can often lead to students becoming bound to words without looking for meaning. Analysis is crucial in mastering a language. By relying solely on phonics, students are unable to become completely fluent (Law and Eckes 103). For this reason, English 115 provides students with fun and engaging content that may challenge their competencies but ultimately give them a more comprehensive understanding of English. English 120, 125 and 130 is aimed at students with varying levels of independence in reading. By this point, students should have a solid basic foundation in literacy. At this point, it is appropriate and useful to begin building vocabulary and grammar competencies. In all these courses, there are components in each area that allow students to develop specific skills. “All the language arts (i.e., speaking, listening, reading, viewing, writing, and representing) are interrelated and interdependent: facility in one strengthens and supports the others. Students become confident and competent users of all six language arts through having many opportunities to speak, listen, read, write, view, and represent in a variety of contexts” (BC Ministry of Education 15). The Smrt Youth and Kids curriculum engages students in all areas of language learning at the same time. Instead of having separate textbooks for each area of study, the idea is that when students are reading, they are also learning grammar and are also developing their speaking skills and writing skills. The diagram below shows how the BC Ministry of Education curriculum merges all language skills together in order to encourage students to develop cognitive skills as well and glean meaning from their learning. Many EFL teachers are accustomed to teaching grammar separately from vocabulary, separately from writing, and so on. Whilst there is merit in teaching in this style, and the Smrt Youth and Kids curriculum does still allow for that style of teaching, it is recommended that teachers take an integrated approach in their classroom. The downside of teaching language components separately is that students often gain “accumulated entities” (Rutherford 4). Mastering separate skills, such as vocabulary and grammar, is only sufficient to bring English language learners to a certain level of proficiency. By itself, this type of specific skill building will not enable learners to develop fluency. Instead, learners must be given these tools in a context that is familiar to them and meaningful beyond the specific classroom lesson (Rutherford 14). For this reason, all content within a unit is linked together as one cohesive topic. It may seem counterintuitive that digital learning allows students to collaborate more with other people. However, this is exactly what a digital education platform offers. By using tools like discussion forums, online games, videos and Google docs, the Smrt Youth and Kids curriculum allows students to learn from each other and with each other. In most lessons, the teacher acts as a facilitator and guides students through their work. For those teachers who are keen to be more involved in their classrooms, this curriculum allows them to be creative and dynamic in their instruction styles. For those teachers who feel more comfortable letting their students be independent, they are able to trust a high-quality curriculum that is easily accessible for students of all ages. Research shows that students are able to make most progress in language acquisition when they are able to interact with each other (Brownlie, Feniak and McCarthy 13). The Smrt Youth and Kids curriculum allows students to engage in peer tutoring, peer editing and peer collaboration. With the digital medium, students can comment on each other’s work and share their experiences with each other. In general, a literacy-based curriculum offers great opportunities for students to learn from each other. 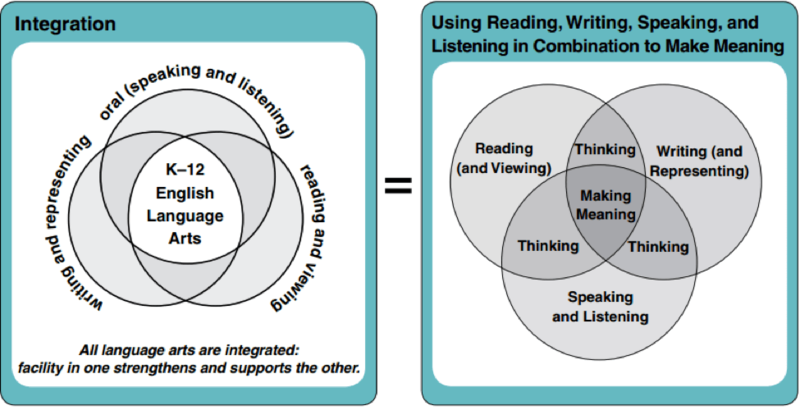 Choral reading, reading in role, readers’ theatre, paired reading, and buddy reading are some effective ways to help students develop fluency (Osborn and Lehr 10). This curriculum highlights differentiated learning styles and allows students to approach their language acquisition in a variety of ways. In particular, it enables students to take control over their own learning and gives them tools that are familiar to them. Most high-quality curriculum allows students a chance to explore multiple-intelligences and enables them to access their learning in the most effective way for each individual (Giles, Pitre and Womack). For most lessons in the Smrt Youth and Kids curriculum, activity types vary between written, oral and visual, and between interpersonal and intrapersonal. Research shows that use of media and visuals is very valuable in foreign language education (Brownlie, Feniak and McCarthy 4). This curriculum contains a section in each unit that focuses on media literacy. It enables students to practice comprehensive listening, speaking, vocabulary and grammar skills. It also supports students in “developing both expressive and receptive language skills using media such as film, television, and the Internet” (BC Ministry of Education 33). The Smrt Youth and Kids curriculum also places an emphasis on building well-rounded students. This means that students do not learn based merely on repetition, memorization and simple exercises. Rather, they learn to build skills that enable them to be robust learners who are able to take control over their own education. In order for this to happen, the curriculum contains activities that challenge students in varying degrees of complexity. The following diagram shows Bloom’s Taxonomy, a classification of learning objectives that shows the progress of students from superficial learning to deep learning. As the diagram shows, remembering and memorization is at the bottom of the pyramid. It is the least difficult and requires the least effort from students. Learning at the bottom of the pyramid is important because it offers students solid foundations on which to build their learning. However, the skills at the top of the pyramid are most valuable in genuine learning, as they encourage investigation, analysis and synthesis of information (Laws and Eckes 36). The Smrt Youth and Kids curriculum allows students to move between the stages and access information and learning at each different level. The Smrt Youth and Kids curriculum is mapped to meet the learning objectives for English Language Arts as established by the British Columbia Ministry of Education in Canada. Each course comes with a learning objectives package that describes in detail the learning objectives on which the curriculum was built, as well as the equivalent standards in the BC curriculum. Please refer to the Learning Objectives document for more detailed information. British Columbia. Ministry of Education. English Language Arts Grade 4: Integrated Resource Package. British Columbia: Ministry of Education, 2006. Web. Brownlie, Faye, Catherine Feniak and Vicki McCarthy. Instruction and Assessment of ESL Learners. Winnipeg: Portage & Main, 2004. Print. Giles, Emily, Sarah Pitre and Sara Womack. “Multiple Intelligences and Learning Styles.” Emerging Perspectives on learning, teaching and Technology, 20 Jan. 2013. Web. Law, Barbara and Mary Eckes. Assessment and ESL: An Alternative Approach. 2nd ed. Winnipeg: Portage & Main, 2007. Print. McGuiness, Carol. From thinking skills to thinking classrooms. London: UK Department for Education and Skills, 1999. Print. Osborn, Jean and Fran Lehr. Research-based practices in early reading series: A focus on fluency. Honolulu: Pacific Resources for Education and Learning, 2003. Print. Overbaugh, Richard C. and Lynn Schultz. Bloom’s Taxonomy. Old Dominion University, 20 Jan. 2013. Web. Rutherford, William E. Second Language Grammar: Learning and Teaching. New York: Longman Inc., 1995. Print. Worthy, Jo. “What makes intermediate-grade students want to read?” The Reading Teacher. 55.6 (2002): 561-569. Print.